Since 1993, Reynolds Commercials in Athlone have been specialising in Commercial Vehicle Repairs, Sales and Parts. Irish Trucker caught up with Company Owner and Founder Paul Reynolds to learn more about the thriving business which has recently become an Agent for Renault Trucks Ireland. These are busy times for Paul Reynolds and his staff at Reynolds Commercials and the plan is very much to keep making hay while the sun shines on Tonesroad in Walderstown, Co Westmeath. Paul has been immersed in Commercial Vehicle Repairs and Sales for all of his working, having first learned his trade at Frank Fahey Commercials in Athlone in 1978. In early 1993, he set out on his own, in a 30ft x 30ft garage to the rear of his home, and hasn’t looked back since, having come through and regrown his staff numbers since the last economic recession in this country. Today, Reynolds Commercials offers its customers Bus/Truck/Trailer/Van Repairs & Servicing, Brake Testing, 24-hour Breakdown & Vehicle Recovery, Diagnostics, Vehicle Hire & Leasing, Fleet Management, Spare Parts and New & Used Truck Sales. All of those services have made for a hectic schedule, but Paul was still good enough take some time recently to give Irish Trucker the lowdown on what his Company is about. Indeed, things have come a long way since Paul first started out and he openly admits that things were quite tough at the beginning, as with most new born ventures. However, he points out that a couple of years of working alongside his brother Liam helped him to gain a loyal following of clients when he eventually took the decision to go out on his own. “I started off doing my apprenticeship in Frank Fahey Commercials. From there I worked with Underfoot Transport in the garage and as a driver. I went on to work my brother, Liam Reynolds, in Athlone in his garage for four years,” said Paul. “He then went onto the Haulage business, so I decided to start on my own and built a small shed behind my house and grew it from there. It was slow enough starting out, but I had some valued customers from the work myself and Liam did, and they came to me." The business grew steadily over the next few years, but like many more, the recession of 2008 brought about a slowdown in activity. At triple expansion to the premises over the years is always a good sign and you wouldn’t put it past Paul going for a fourth to his workshop down the line. Reynolds Commercials is still growing after all, with a major business development emerging in 2018 as they became the Midland's Agent for Renault Trucks Ireland. Reynolds Commercials’ clients seem to be quite satisfied as well. While Paul has plenty of local customers that have stuck with him down through the years, he also points out that his service is available to potential clients nationwide. 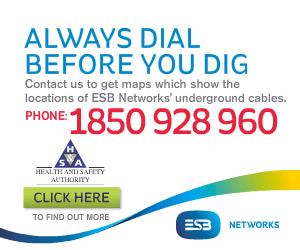 “We have a lot of long-standing local clients, but we have had customers from all over Ireland.” he stated. Overall the picture is very bright, with staff numbers having grown to 14, now exceeding what they were pre-downturn and business being practically as good as it’s ever been. 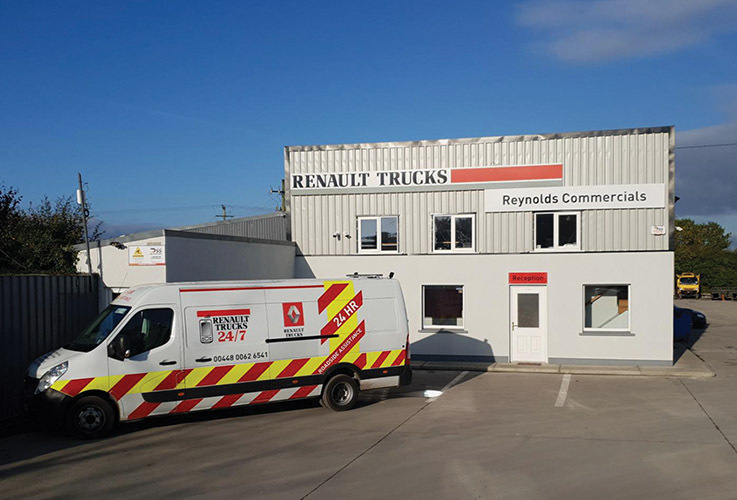 Due to increasing demand and the recent expansion of becoming an agent for Renault Trucks Ireland, Reynolds Commercials sought out applications in June for a new mechanics. Indeed, the expansion continues down Walderstown way and they could well be looking at 20 full-time staff this time next year, given the current trend continuing. "We have a great team here. Our Foreman Aiden Heavin has been here 16 years and has taken a lot of pressure off me in recent years. My son, Anthony, has come on board in the past 6 months as well.” Paul outlined. “It’s probably down our reputation for the service and good work that we carry out,” he concluded.